How do you dispose of a sword? You have found a sword or just don't want a sword any more but don't what to do with it? Whatever the reason, getting rid of a sword isn't as easy as you think, if you want to do it responsibly. You can't just throw a sword in the trash bin because it will likely be found by your neighbours kids who could accidentally get hurt or their parents will eventually find it hidden under their bed. Luckily there is an easy way to get rid of an unwanted sword, knives or any types of medieval weaponry. Bring them into our store or ship them to us here at Reliks.com and we can safely take care of them for you. There are no questions, no hassles or costs to release them to us for our recycling program. What if I didn't purchase them from Reliks? That is Okay! 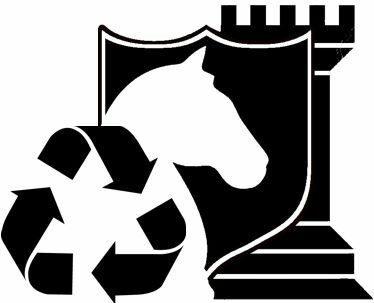 The reason for offering the �Reliks Recycling� program is for a means to responsibly dispose of potentially dangerous bladed items safely, so they don't end up in the wrong hands. Where they originally came from doesn�t matter, where they end up does. Where do I send them or bring them? If shipping please ensure to write �Reliks Recycle� on the packaging or shipping label. If shipping from outside Canada please ensure that the paper work is filled out correctly. Any parcel requiring C.O.D. or customs charges will be refused. We will accept pretty much any type of medieval weaponry, modern knives or bladed items that can cause injury from unsafe disposal. We will not accept items that are illegal to possess in Canada. Morning Stars or other weaponry that has a chain between the handle and striking implement. Only Exceptions � You have disassembled them or modified them in a way rendering them in non-working order so that their current state is in compliance with Canadian laws for possession. DO NOT SEND US FIREARMS. Reliks is not licensed to accept firearms for disposal. What does Reliks do with them? There are a few different options depending on the item and its condition. Disposed items will be stored in a locked facility, disassembled, have all edges and points ground off and then be picked up for scrap. Some items may be modified and used as teaching aids, for sharpening or repair training before disposal. In some cases where an item can be modified, repaired or cleaned to a saleable condition it may be sold with the proceeds used to cover the expenses of the program including disposal fees, storage fees, labour costs and further expansion of services.